Updating your home’s window treatments is an effective and cost-efficient way to make your home more attractive and more comfortable. 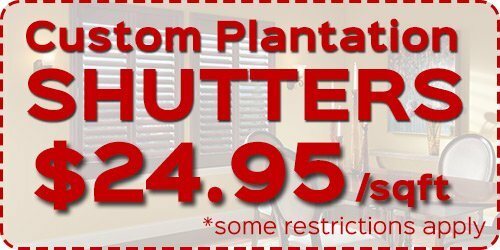 One of the most attractive kinds of window treatments is that we offer at our Maui Window Blinds & Shutter Company are our woven wood shades. Woven Wood Shades in Maui will help you create a casual, relaxing, and natural appearance with your home’s interior design scheme, and we have a wide section of different options for you to choose from. Woven would shades are an excellent option for any home, whether it’s a regular residence, a vacation home, or a particular room, like a sun room. And with our huge selection of woven wood shades, our Maui window treatment experts can guarantee that your can guarantee that you’ll be able to find the perfect set for your aesthetic tastes, your home’s interior decoration, and your budget. Call us today to schedule a free in-home consultation. Once you’ve made the decision, we also offer free measurement services. Woven Wood Shades in Maui are natural and attractive, and they’re available with many different design options. Woven wood shades are conventional, stylish, and subtly elegant. They’re easy to clean and maintain. When they’re down, woven wood shades will keep out most sunlight. They’re environmentally friendly and often made from rapidly renewable resources. Because of their woven design, these shades will not suffer damage from expansion and extraction after exposure to heat and humidity. They’re very affordable, and they can lower your Maui home’s energy costs by providing excellent insulation and preventing sunlight from entering your home. There are several options that you’ll have when you’re selecting woven wood shades or your Maui home. If you have younger children in your home, our cordless products can help you keep your home safe for them. These woven wood shades can also be woven to allow in varying amounts of light when they’re closed, so you can customize these shades to make sure they’re right for your home. Our professionals will help you navigate our selection of Woven Wood Shades in Maui and help you choose the perfect set for your home. 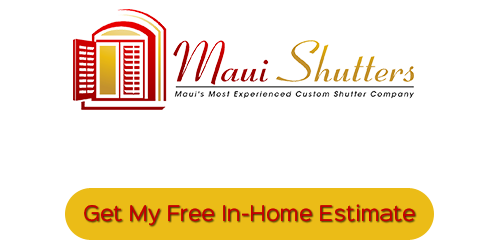 If you’re looking for Woven Wood Shades in Maui, call Maui Shutters at 808-495-3434, or fill out our online request form.